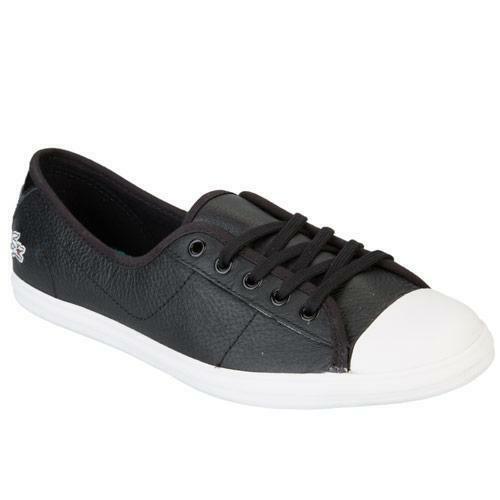 Womens Lacoste Ziane WJA Trainers in Black High-end footwear for women with a highly affordable price tag. A fabulous wardrobe staple, this is a very chic shoe and perfect for the season's key trends. A lovely, low-profile plimsoll, Ziane has been reimagined for the season featuring a classic leather upper, complete with neat laces and a rubber toe piece. Other features include canvas lining for comfort, with an authentic vulcanised outsole and patent ankle panel. 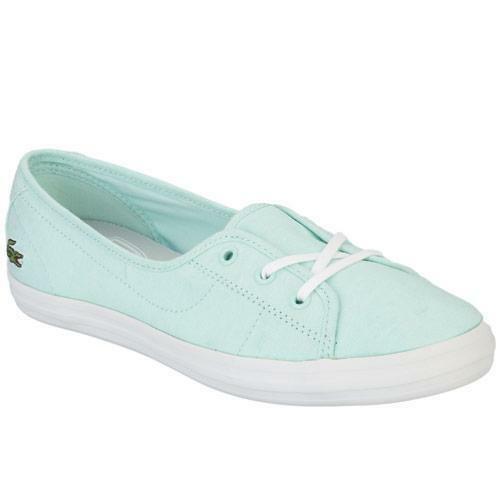 This style features contrast linings and tread and signature Lacoste branding can be seen embroidered to the heel and tongue, a must-have buy this season. Upper: leather. Linings and sock: textile. Sole: other materials.